If you need to create PDF files by combining and editing other types of files (such as word, excel, etc), but don’t want to buy something at the Adobe Acrobat price-point, try our simple and intuitive PDF Creator Plus – an economical solution for creating PDF documents just as you need. Plus it can even do simple conversions to TIFF and JPG! 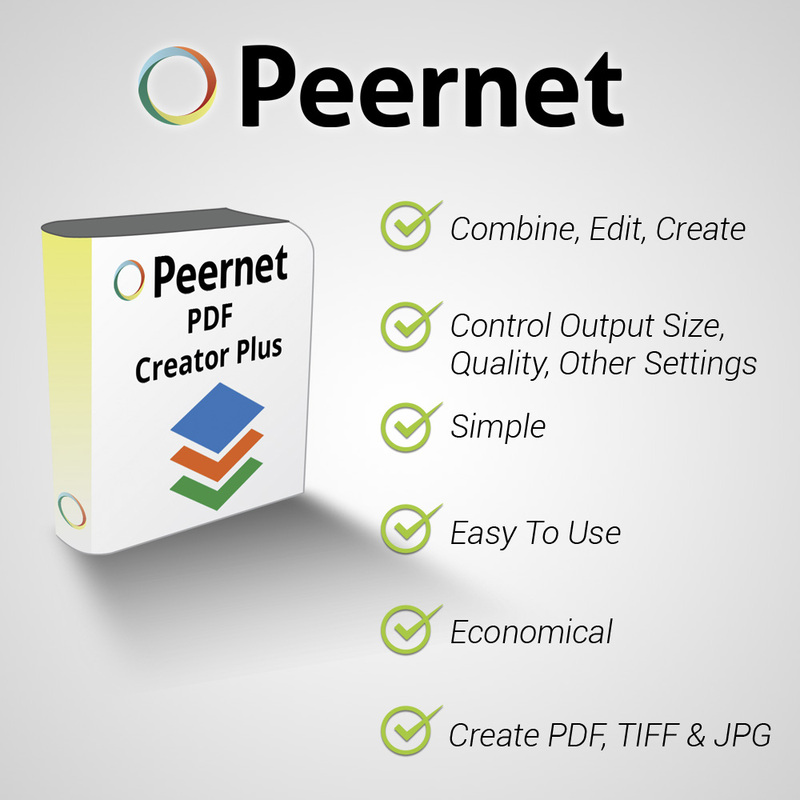 PDF Creator Plus is extremely easy to use. Just open your file in an application that can open the file (ie open .DOCX file in Microsoft Word). Now click File – Print and select PDF Creator Plus 6.0 in the printer list. Then click the Print/OK button to print the file to PDF Creator Plus 6.0. The pages of the file will show in the PDF Creator Plus project screen and then just click “Create PDF” button to create your document. Besides being such an easy tool for creating PDFs, the PDF Creator Plus 6.0 also contains many powerful, but simple-to-use features. PDF Creator Plus 6.0 allows you to convert multiple files of any file format (ie .doc, .jpeg, .xls) to PDF Creator and merge them into a single multi-paged PDF file. For example, if you had to submit a PDF report in which the title page was done in PhotoShop, the writing was done in Word and you had a couple charts done up in Excel. All you would have to do is print the PhotoShop title page to PDF Creator Plus 6.0, leave PDF Creator Plus 6.0 open and print the Word file to add those pages into PDF Creator Plus 6.0 and lastly print the Excel charts. In PDF Creator Plus 6.0, you can move the pages around if they are not in the order you want and then just click the “Create PDF ” button to create the PDF file to submit. You can add, move and delete unwanted pages, so the PDF file is exactly the way you want. PDF Creator Plus 6.0 has an Annotation toolbar that allows you to add hyperlinks, textboxes and bookmarks to the pages before creating the PDF file. If you had a Word file that contained hyperlinks, bookmarks and an outline, you can use the Word Add-in, that installs with PDF Creator Plus 6.0, to send everything from the Word file to PDF Creator Plus 6.0 to be included in the created PDF file.You just open the file in Word, click “Save As PDF 6.0” from the toolbar or “Add-In” tab in the Word menu bar to have the outline, hyperlinks, images, text and bookmarks sent to PDF Creator Plus 6.0 to be included in the created PDF file. The Word Add-in feature saves you time of having to re-enter this information back into the PDF file. You can purchase PDF Creator Plus 6.0, including 1 year On-Going Support, for around only $32 USD. You can also renew the On-Going Support annually for about $9 USD which makes sure you always have access to the latest updates, such as better support for new versions of Windows. To start your trial, just visit our PDF Creator Plus 6.0 page and click the “Trial Download” button.